Are the Eagles jumping on the Derrius Guice train? According to NDT Scouting’s Jon Ledyard the Eagles are showing a ton of interest in LSU RB Derrius Guice in the next couple of days. 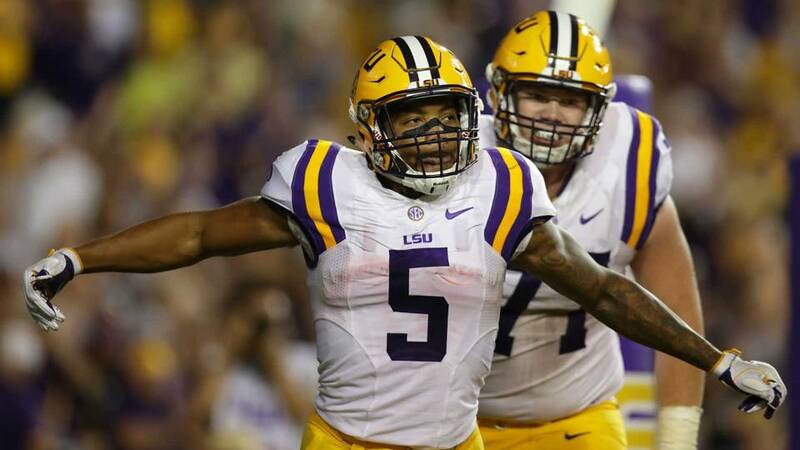 The #Eagles are heading down to LSU to meet with Derrius Guice tonight, then will put him through a private workout in the morning tomorrow. Then they will host Guice on a visit in Philadelphia on Monday-Tuesday of next week. Lot of interest there. If we look at the chart below the Eagles are doing a ton of homework on the running back position. One other big name amongst the group that is currently missing: University of Georgia’s Sony Michel. 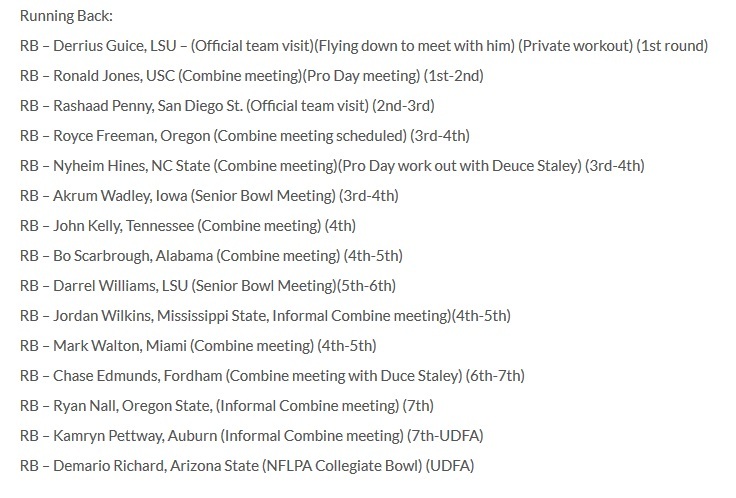 Either the Eagles have serious interest in Guice or the Eagles are building up a smoke screen for who they really want. While I am never one to believe everything I read on the interwebs, I always try to look at the bigger picture. The Redskins –who pick at No. 13– have already met with Guice and are showing heavy interest as well. Another running back the Redskins have shown interest in is USC’s, Ronald Jones. Redskins HC John Gruden has mentioned that there is a “good possibility” that they take a running back early, too. However, picking any of the running backs I just mentioned at No. 13 would be shocking to see unless they were hoping to trade back. The Tampa Bay Buccaneers(No.7), Baltimore Ravens (No.16), Detroit Lions(No.20), Pittsburgh Steelers (No.28) and the New England Patriots(No.31), are all teams that have showed interest in Guice. With all that being said, the LSU prospect is a difference maker in the run game. While some may preach go RB later in the draft, this season the Eagles are in repeat mode. Let me repeat that again. The Philadelphia Eagles are in repeat mode, adding a dynamic player to an already high powered offense would be incredible. NFL Draft analyst Tony Pauline has already noted that RB coach Duce Staley is a “big supporter” of Guice. Thinking about the Eagles offense, you would have to think they’re missing one element: an explosive home run hitter in the run game. The 5-foot-10, 224-pound Guice is a runaway train that isn’t afraid of taking out what’s in front of him. The LSU prospect runs angry and takes his past from his childhood and turns it into energy on the field. When Guice was just six years old, his father Derrick was murdered, while his older brother Derrick, named after his dad has been in and out of jail. 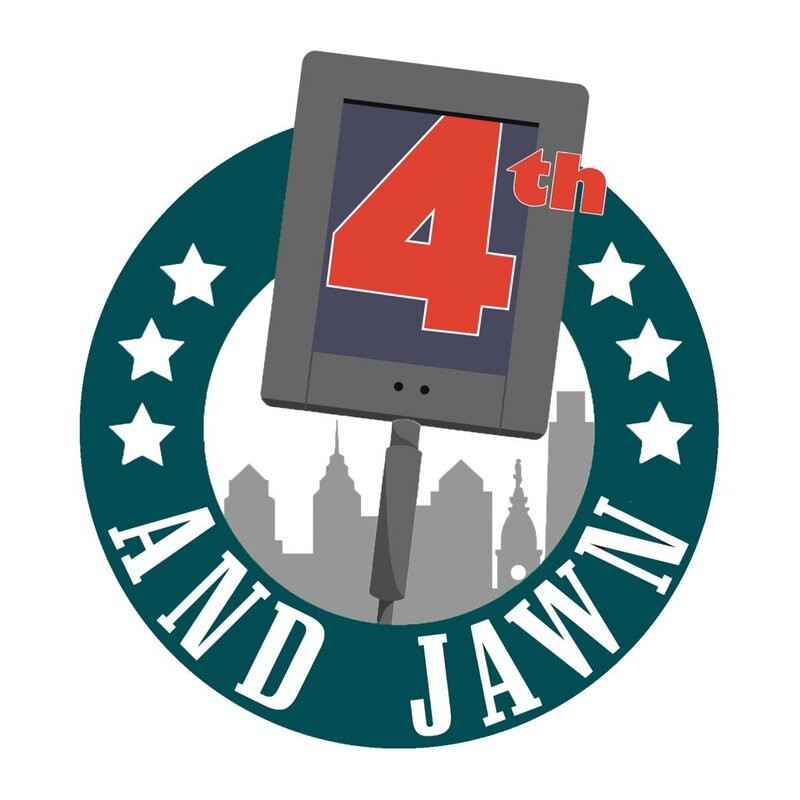 THE SKINNY: Looking at the current Eagles RB depth chart, Ajayi is on the last year of his contract, Clement is your change of pace do-it-all type, Donell Pumphrey is still a question mark, while Wendell Smallwood is an afterthought who is hanging onto a roster spot. The idea of Sproles returning is a great feel-good story, but he is also returning from a torn ACL. Adding in an electric playmaker to the Eagles running game would definitely provide a certain spark to the offense and help out Carson Wentz in the same breath.